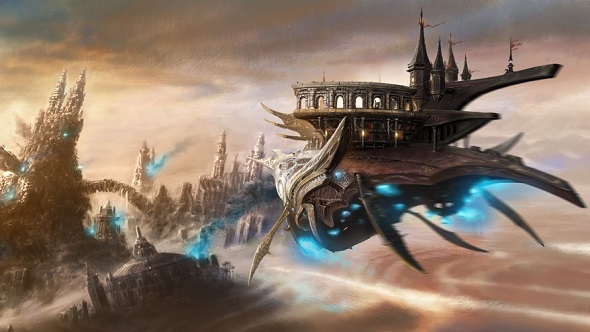 “In terms of how far in advance we’re thinking about our schedule, roughly we plan up to two years ahead,” Final Fantasy XIV director and producer, Naoki Yoshida, reveals. 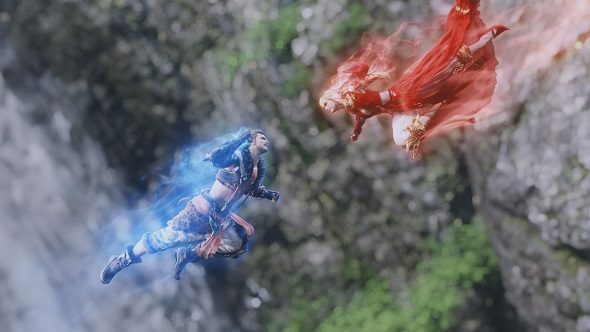 The MMORPG’s second expansion, Stormblood, only launched back in June, but the team’s eyes have been turned to what’s next for a while, and far beyond that, too. Haven’t played Final Fantasy XIV’s latest expansion yet? Here are the five biggest changes Stormblood brings. However, Stormblood didn’t exactly have a comfortable start, which forced the team’s vision out of the future and brought them crashing back into the present. A number of snags in its early days left some players unable to progress or completely unable to log in to the game. Sure, busy servers are to be expected at the launch of an expansion, but the issues that plagued Stormblood seemed extreme. The team worked to resolve the problems as fast as they could but had to do so while also in the midst of fending off an aggressive DDoS attack. It seems the popularity of Final Fantasy XIV had made it a target. 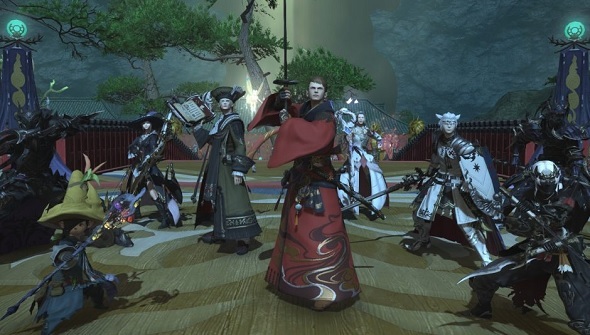 “We had problems with the duty finder, down time, bottlenecks on some of the instanced content, and there were other incidents and accidents that happened that may not have been seen in the public,” Yoshida explains. Though he was disappointed with the launch and the setbacks they faced, he has immense praise for the efforts of the development team and what they achieved. It’s easy to see why. Eventually, once the game had been stabilized, Stormblood was appreciated by fans and critics for all of its new features. 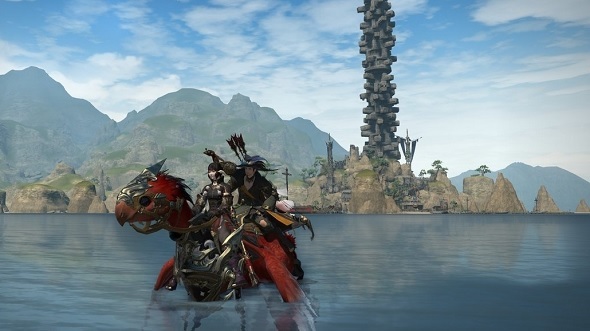 It offered a grand and expansive adventure that sent players on a journey through the regions of Doma and Ala Mhigo. Two new jobs inspired players to start a whole new level grind: the acrobatic spellslinger, Red Mage; and the stoic duelist, the Samurai. Meanwhile, new dungeons and encounters proved the team are still able to invent unique and iconic moments within the sometimes difficult confines of an MMO. By now, many have seen the new content to its conclusion, and have been left wondering what’s next. 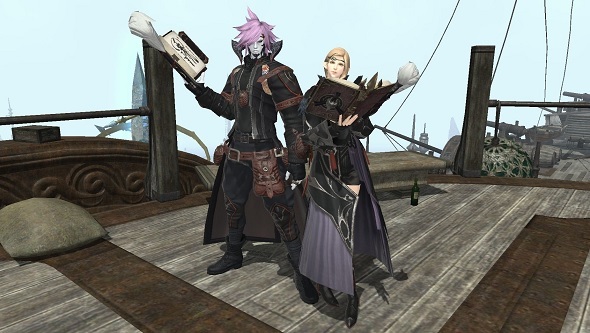 With prior expansions A Realm Reborn and Heavensward, the Final Fantasy XIV development team had settled into a comfortable rhythm of releasing patches and new content. Will that same approach be applied post-Stormblood as well? A recent developer livestream discussing the upcoming patch was also light on new information, although it was revealed that players will be heading to the city of Rabanastre in the raid. Yoshida has some advice for those looking to jump in: “Final Fantasy Tactics plays a large role in understanding the background. We would recommend if you’ve not played it already to try it out and experience that story because it deals with the start of the Ivalice Alliance. That is a key element.” That gives you a month to brush the dust off your PSP or give the mobile version a spin. If you’re hoping to see future content veer away from the standard dungeon and raid cycle, then you’re in luck. One idea the team has confirmed they’re working on is bringing Final Fantasy X’s Blitzball to the game. 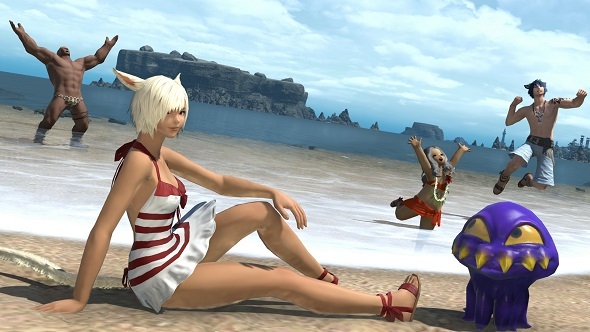 With the introduction of swimming and diving in Stormblood, the aquatic sport seemed a natural fit after the MMO already has its own versions of Final Fantasy mini-games Triple Triad and Chocobo Racing. It is, however, still a long way off, as the team is debating about how exactly to bring it to Final Fantasy XIV. Yoshida says there are currently two methods that exist as potential ideas: an almost exact replication of how the sport plays in Final Fantasy X, or a mode more similar to the version in Final Fantasy X-2 in which you recruit NPCs and serve as the manager of the team. The team is apparently “very torn” on which direction to take. Elsewhere, further support is planned for the game’s PvP modes – an aspect Yoshida is still very passionate about. The changes in Stormblood simplified a lot of the mode’s mechanics by normalising HP levels across jobs and reducing the number of PvP abilities to a far less intimidating number. The hope was to encourage more players to try out one of the game’s lesser populated activities. Since introducing those changes, Yoshida says feedback from newcomers and veterans has been positive – though some of the more experienced players do miss their old abilities and wish for more complexity. “We feel that it’s not a negative reaction per se. They do receive it positively, and they do think it’s an improvement, and it’s more of a suggestion to make it even better,” he says. What those players might be happy to hear of is a new “large scale” PvP mode that will be introduced in Patch 4.15. Rival Wings pits two teams of 24 players against each other in a vast arena. Skirmishes won’t only be taking place on the ground, you’ll also be able to pilot powerful mechs and tear across the battlefield. Specifics are hard to come by at this stage, though the general sense from Yoshida is that the team wants to reduce the risk of missing opportunities to increase your DPS for Summoner, improve the usability of Scholar overall, and buff the Warrior’s ability to tank and deal damage so they are more in line with Paladins and Dark Knights. In the same sense, Yoshida talks as if there’s no finite goal in mind for Final Fantasy XIV in general. The game recently celebrated its fourth birthday with a 14-hour livestream and an in-game seasonal event. However, for Yoshida-san, it’s always more important to think about what’s to come – and that two year schedule is always in the back of his mind.